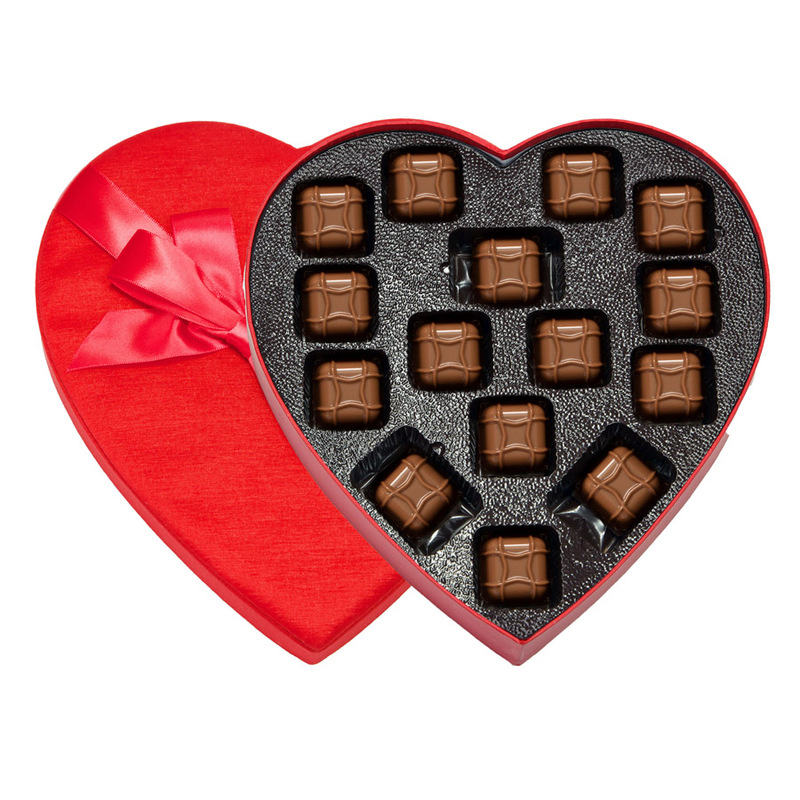 This classic red satin heart box is filled with our most popular confection. Freshly ground peanut butter is whipped into a velvety smooth, feather light meltaway center, then tucked beneath a silky veil of creamy milk chocolate. This exquisite gift box speaks of love without saying a word. Available in 1.5 oz., 3 oz., 4.5 oz., 6.5 oz. and 15 oz.